The Assessor's office chief task is to identify and appraise all general property in their jurisdictions. Represents the City's interests in administrative proceedings, litigation, contracts, eminent domain and all other legal matters. BelleTV is the official television and web channel for the City of Racine. Office Hours by appointment, please call. The Bus company is responsible for public transportation within the City of Racine. The mission of the Cemetery Department is to bury our loved ones with dignity and honor. The city maintains Graceland and Mound Cemeteries. The City Clerk is the official records custodian for the City and is the issuer of approximately 50 different types of licenses. The Department of City Development is responsible for Planning and Redevelopment, Updating of the Zoning Ordinance. The Finance Department is responsible for the financial operation of the City. Fire Chief Steve Hansen along with all our Fire Fighters and Paramedics welcome you to the City of Racine Fire Department. Check this site for information on health issues, plus resources to keep your family, home, business, and the community safe. Our goal is to ensure that we provide the best possible service to our current employees, prospective employees, retirees. The Management Information Systems department is responsible for maintaining the City's IT infrastructure and systems. Our Mission is to deliver the best law enforcement and safety services to the citizens of Racine. Racine Public Works is responsible for everything from Streets maintenance to picking up trash. Visit our site to learn more! 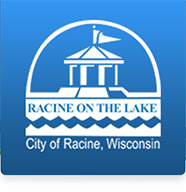 In order to bid on city projects, make sales to the city, or conduct other business with the City of Racine, vendors must go through Purchasing. The mission of the Racine Public Library is to enhance our community’s quality of life by providing information, ideas, and creative works. The WasteWater department is responsible for water treatment before being discharged back into lake Michigan. The Water department is responsible for providing clean drinking water to the greater Racine area.